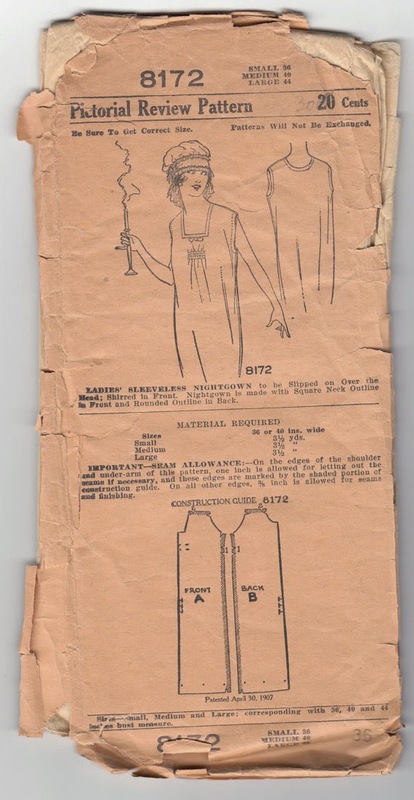 Hi, I have attached photos of a silk slip/nightgown, never worn, with herringbone embroidery on sleeves, around neckline and down the front, lace insertion, front and back, and lace all around neckline. The front and back are identical, including the embroidery and insertion panel. Not sure of the vintage, perhaps 30's or earlier? It is in mint condition and whisper-soft. Again, thank you, Karen, for sharing your photos. I believe this is from the late 1910's/early 1920's. 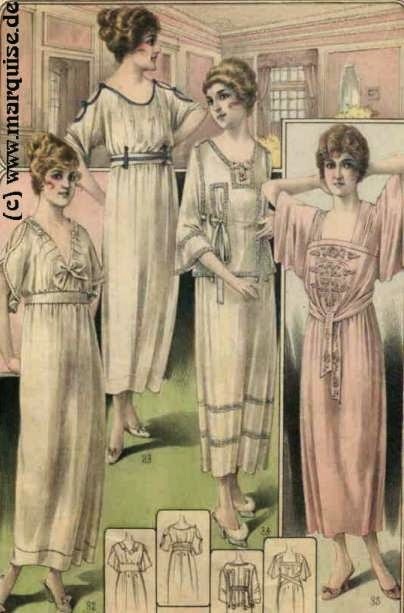 Here are some examples that have similar aspects to this nightgown. The above pattern has similar placement for details. Honestly, add sleeves and round out the neckline and it looks like the same pattern. 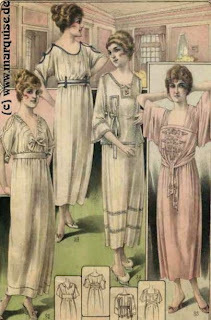 The third from the left, second from the right, also has similar placement. The link no longer has the image up - but that's where it's from originally. 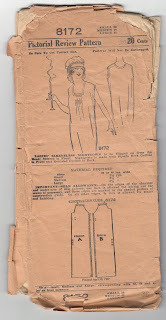 The fashion plate is from 1919.